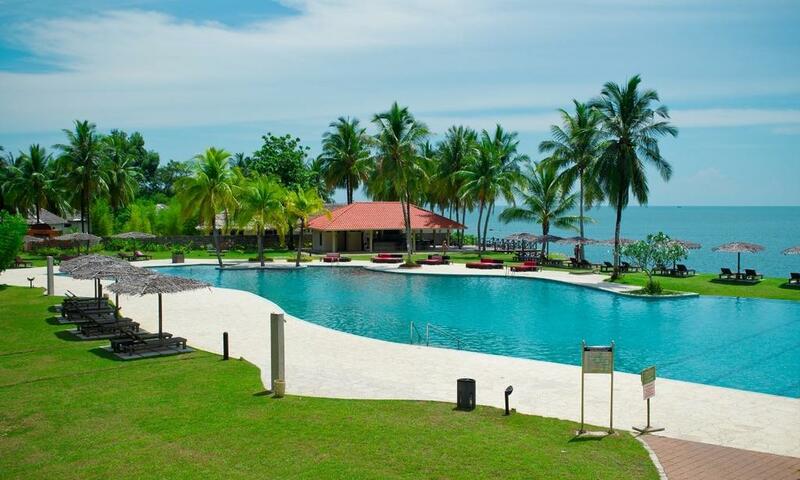 Located under the spectacularly steep 810 peak of Mount Santubong, Peninsula Santubong is home to Sarawak finest beach resorts, including Santubong Kuching Resort as well as the famous Sarawak Cultural Village. 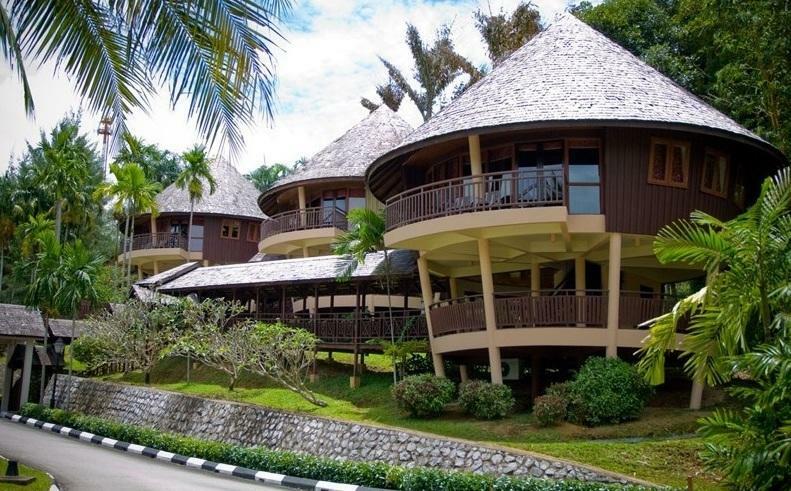 Santubong Kuching Resort is nestled under the legendary Mount Santubong, only 25minutes drive from Sarawak Capital, Kuching City. The resort sprawls over 25 acres amidst lush green jungles with the legendary Mount Santubong in the background andoverlooking the South China Sea, and equipped with 380 modern and spacious rooms, suites and self contained chalets and big function room that make it the perfect tropical resort and convention facilities in Sarawak. Santubong Peninsula has been settled since ancient times, and was once a major trading harbor for traders from China and India. 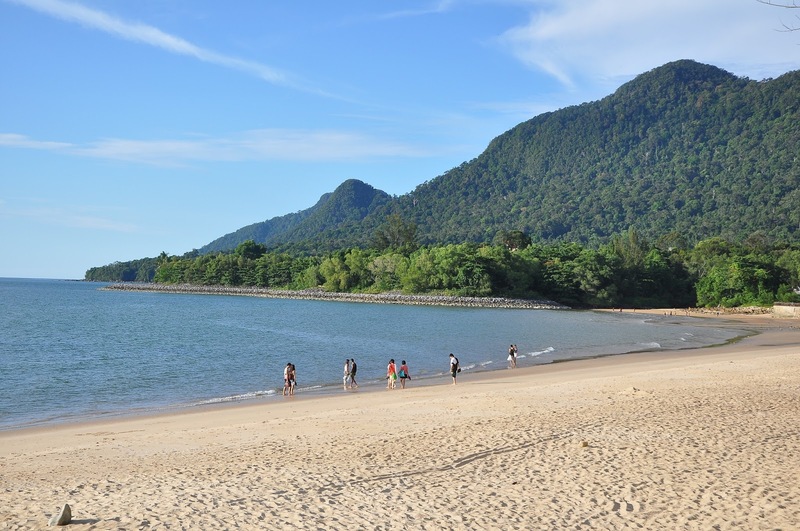 It is now the home to some Borneo finest beach resorts and a good base for discovering the charms of Southwest Sarawak. 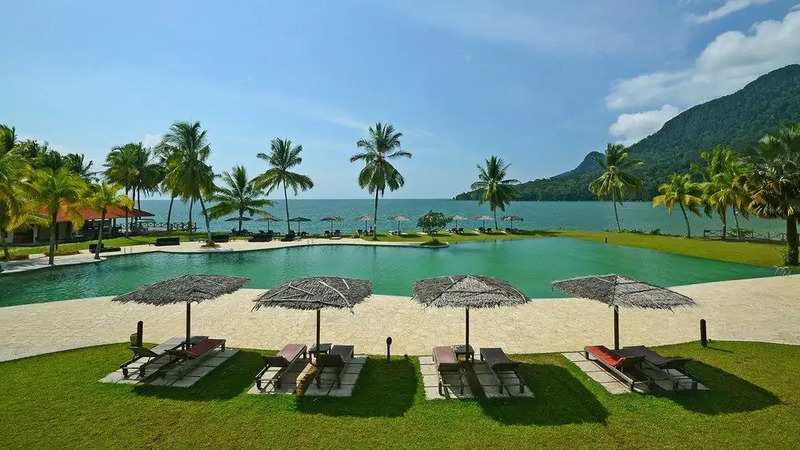 Besides Santubong Kuching Resort, there are other popular Resorts including Permai Beach resort, Permai Rainforest Resort, Pantai Panjang and the South East Asia renowned Damai Beach Resort on this pennisula. 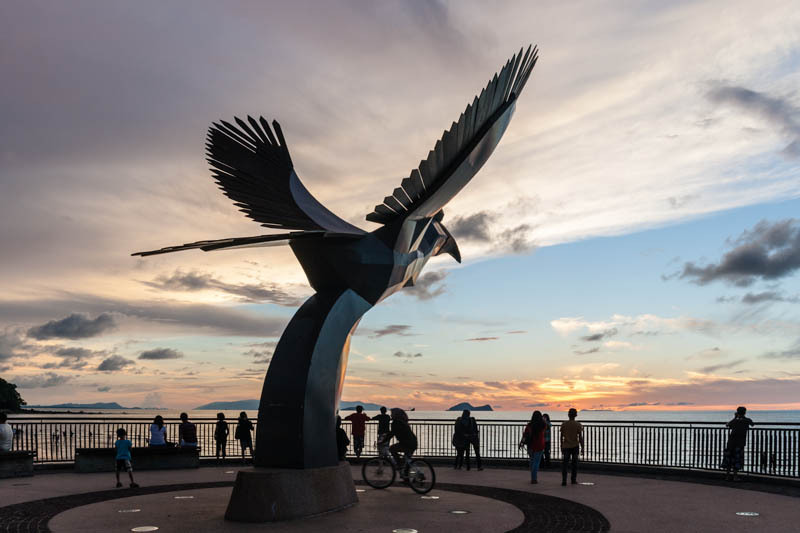 You will see probably the world most spectacular sunsets here on a clear day, where the sun sinks slowly into the sea framed by Sarawak rolling hills on one side and scattered islands on the other. The 2 main offshore islands are Pulau Satang Besar and Pulau Satang Kecil, where Pulau Satang Besar has been designated as a Turtle Sanctuary to protect the Green Turtles which come ashore to lay eggs at night. 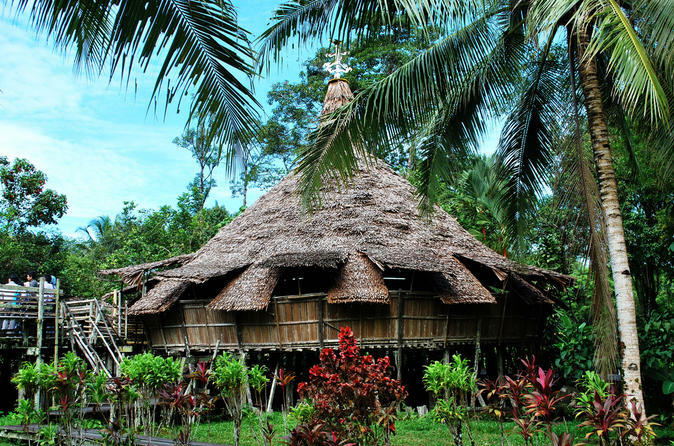 Just 5 minutes away, there is the famous Sarawak Cultural Village, showcasing the cultures and traditional houses of Sarawak 7 main ethnics group. There are many jungle trekking and walking trails at this area. The Santubong Jungle Trek is a circular trekking trail located at the foothills of Mount Santubong. You will passes jungle stream, beautiful waterfalls and dip pools when trek along this trail. The toughest trek by far is the Mount Santubong Summit Trek which may take 4-7 hours (up and down) to complete. You can trek to the summit by yourself or engage a guide. Bird Watching is another must do activity at Santubong Peninsula, particularly at Buntal Village. You could catch a variety of plovers, terns, egrets, sandpipers and godwits plus some rare migrants as well as resident bird, including the white-bellied sea eagle, brahminy kite and collared kingfisher. The architectural design of Santubong Kuching Resort combines opulence with an ambience that is cool and relaxing, and with the panoramic views of the South China Sea, as well as the fun filling water sports activities here, it is the perfect tropical resort for traveler who look for perfect destination to spend their holiday.